Support the move to outcomes based contracting. The Trust prioritises work with service users, carers and commissioners and partners to develop and implement validated outcome measurement tools to provide information to service users, carers, clinicians and commissioners to help them assess progress. Agreement from the Leeds Care Group Clinical Governance Council to pilot ReQoL in eight teams across LYPFT (comprising two Acute Inpatient wards, a Community Mental Health Team, Intensive Community Service, one locked Rehabilitation and Recovery Inpatient Ward, one Community Rehabilitation and Recovery Team, one Supported Rehabilitation and Recovery Inpatient Ward, one Independent Rehabilitation and Recovery Inpatient Ward). Recruit Outcomes Champions from each of the eight selected teams and provide training on how to use ReQoL. Support the Outcome Champions to cascade the training to their colleagues and to become a conduit of communication between their teams and the Clinical Outcomes Lead. Liaison with the LYPFT Health Informatics team to make ReQoL available on the electronic patient referral system and to design outcomes reports at individual service user level as well as on a service level within the Trust’s Business Intelligence System. 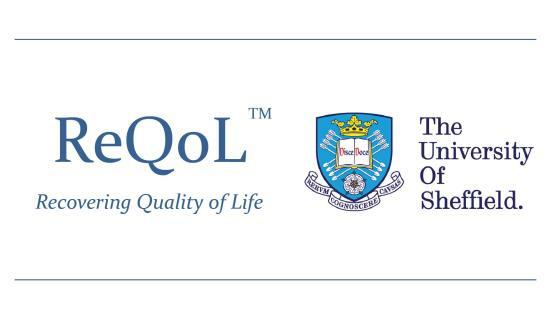 Widespread promotion of ReQoL across the Trust via e-mails, Trust PC screensavers, and staff intranet, as well as regular updates in team meetings. Ensure that ReQoL is a standing agenda item at team meetings and that outcomes data is discussed in clinical supervision. Share ReQoL data with service users and integrate the data into goal setting, MDT meetings, care planning, and recovery workbooks. ReQoL implementation in the eight selected teams began on 14th November 2016. Simultaneously, the Clinical Outcomes Lead designed and disseminated evaluation forms for staff to complete to provide feedback on the implementation process. Qualitative data from staff evaluation forms indicated ReQoL clinicians found ReQoL helpful in building therapeutic relationships and co-producing recovery focussed care plans. Internal Trust data shows an increase in the number of service users who have been offered a PROM at initial contact (71% after six months compared to a baseline of 7%). There was also an increase in the number of repeated offers of ReQoL. Prior to this pilot, not all clinicians were offering service users a PROM at initial contact, whereas now, clinicians are offering ReQoL at initial contacts and throughout the service user’s treatment which enables identification and exploration of patterns and trends. The use of ReQoL in the eight pilot teams allowed clinicians to compare baseline and progress data for individual service users to monitor their recovery and ensure the interventions which are being provided are benefitting service users. Clinicians understood that ReQoL can provide a standardised way of measuring service user recovery, while supporting goal setting and collaborative care planning. Managers were able to produce high level outcomes data to demonstrate to commissioners the quality of care and the impact of interventions. Additionally, service users could see the benefits of setting specific goals to aid their recovery and are now becoming more proactively involved in their care. The next steps in LYPFT will be to further support the development of links between ReQoL items and collaborative care planning.